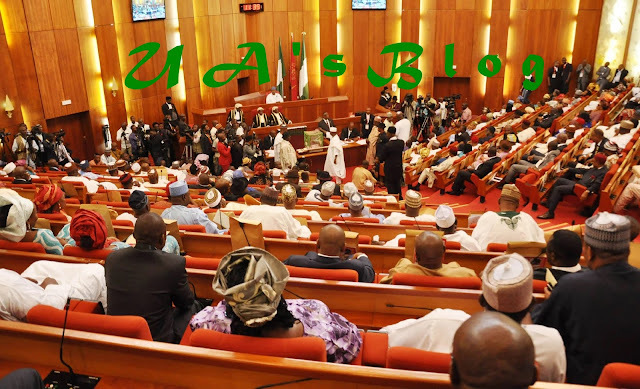 The Senate has resolved to invite all military chiefs; the director general of the State Security Service, Lawan Daura; and the comptroller general of Customs, Hameed Ali over the illegal possession of firearms by unauthorised Nigerians. Premium Times reports that the invitation was sequel to a motion on the proliferation of dangerous firearms in Nigeria by the senator representing Kaduna north, Suleiman Hunkuyi on Tuesday, May 8. Meanwhile, We had previously reported that barely one week after the massacre of local miners at Janruwa village, in Birnin-Gwari local government area of Kaduna state, no fewer than 27 people were killed in another attack in Gwaska village on Saturday, May 5. The bandits reportedly burnt down the village of about 3,000 inhabitants and survivors mostly women are taking refuge at Doka district in the area. Members of the local government under the umbrella of the Birnin Gwari Vanguards for Peace and Good Governace said: "Most of those killed are volunteers that tried to defend the village and children that cannot escape the onslaught."